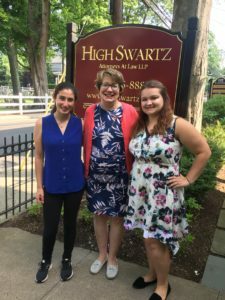 High Swartz, a law firm located in the Greater Philadelphia Area, proudly sponsors a local Montgomery County organization—Montgomery Child Advocacy Project (MCAP). Melissa Boyd (Norristown, PA), a family law Partner at High Swartz, was a speaker at the 11th annual Montgomery Bar Association Family Law Section Toby L. Dickman Seminar on November, 9, 2018. 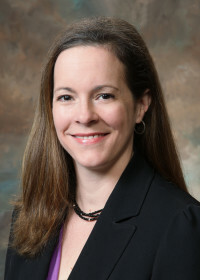 Melissa Boyd (Norristown, PA), a family law Partner at High Swartz, recently moderated a panel at the annual Montgomery County Commission on Women and Families (MCCWF) Awareness Event, an event held in Norristown, Pennsylvania (a Philadelphia suburb), that is focused on discrimination against women. The MCCWF—created by the Montgomery County Board of Commissioners—is a diverse group of women volunteers who serve Montgomery County communities and help aspiring women achieve their educational goals. Norristown, PA, September 4, 2018– High Swartz partner, Melissa M. Boyd recently moderated the Pennsylvania Bar Institute course held on August 2 in Philadelphia. The topic of the program was “The Lawyers Guide to Appraisals and Appraisers.” The panelists discussed everything you need to know about residential and commercial appraisals and gave an overview of the Uniform Standards of Professional Appraisal Practice (USPAP). Norristown, PA, August 27, 2018– High Swartz LLP, is pleased to announce the 2018 recipients of its James F. Doherty Scholarship, awarded to the child or grandchild of a full-time High Swartz employee. This year’s co-winners are Sophia Dantzic, daughter of attorney Douglas Wayne, and Megan Sellers, daughter of office manager Darlene Sellers. Norristown, PA, August 8, 2018– High Swartz LLP, a full-service law firm with offices in Norristown and Doylestown, Pennsylvania, is pleased to announce that Elizabeth C. Early has been elected to the Council of the Pennsylvania Bar Association Family Law Section for a term expiring in 2021. Norristown, PA, July 19, 2018– High Swartz partner, Mary Cushing Doherty was honored last week at the Pennsylvania Bar Association Family Law Section Summer with the prestigious Eric Turner Memorial Award. The Eric Turner Memorial Award honors a lawyer who is dedicated to the practice of family law and who serves as a mentor and teacher to fellow lawyers. As part of the award, a $1,000 donation will be made to the Eastern Pennsylvania Chapter of the Leukemia & Lymphoma Society, a charity selected by Doherty. Norristown, PA, July 17, 2018– High Swartz partners from the firm’s Family Law practice, Mary Cushing Doherty and Melissa M. Boyd led sessions at the Pennsylvania Bar Association Family Law Summer Meeting held July 12th through the 15th in Hershey. Norristown, PA, June 25, 2018– High Swartz partner and chair of the firm’s Family Law practice, Mary Cushing Doherty, was recently awarded the prestigious honor of The Leukemia & Lymphoma Society Woman of the Year for the Philadelphia area. Mary’s team, “For the Love of Jim – Hope for a Cure,” was in memory of her husband of 34 years, Jim Doherty, father to their 4 children: Colleen, Maggie, John and deceased son, Tommy. Her team raised over $120,000 for LLS. Jim succumbed to Non-Hodgkins lymphoma, double-hit (or twice mutated) in 2012, 13 months after his diagnosis. He was a chemist who believed science would find a cure, and Mary has taken up this cause in his honor. © 2016 by High Swartz LLP. All rights reserved.